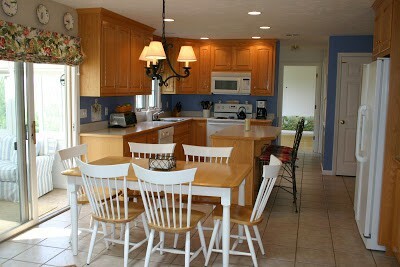 Like our dining room style evolution from house to house, our kitchen table has also evolved over the years. …..grew into a Cocoa Puff eating teenager! That yummy little babe and the teenaged counterpart are both at the same table – it has seen lots of makeovers in it’s time. Last week I estimated that, excluding vacations and school, we’ve eaten approximately 13,650 meals at this table. The little munchkin above and his brother and sister have jammed forks into the tabletop, knocked the chairs over, colored outside the lines and right off the paper with markers. I’ve scraped paint, syrup, and glittery nail polish from it countless times, cajoled little ones into eating their veggies here, helped with homework in this spot, and delivered many a lecture while my children were trapped around this table. It’s been the center of our food-loving, arts-and-crafts loving, family-loving motley crew for 13 years. And I need a few more years of meal, homework, and nail painting service from it, so the time had come for yet another extreme makeover. 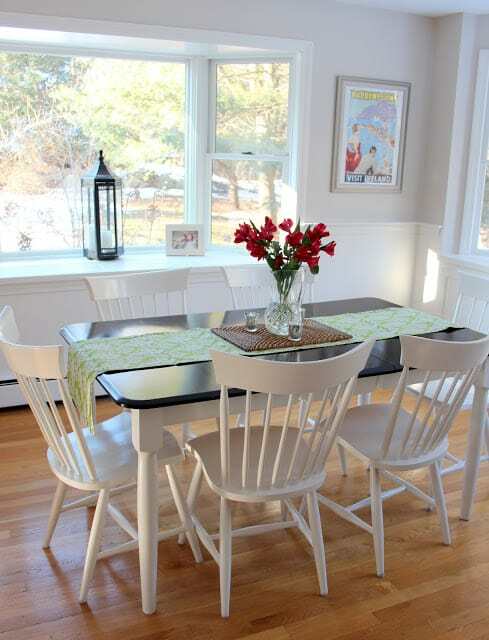 The table and chairs started out with the natural wood/white combo. Those of you who have lived through toddlers know the grubbiness these chairs saw from chubby, sticky, precious little fingers. They were scrubbed on a daily basis in those days. 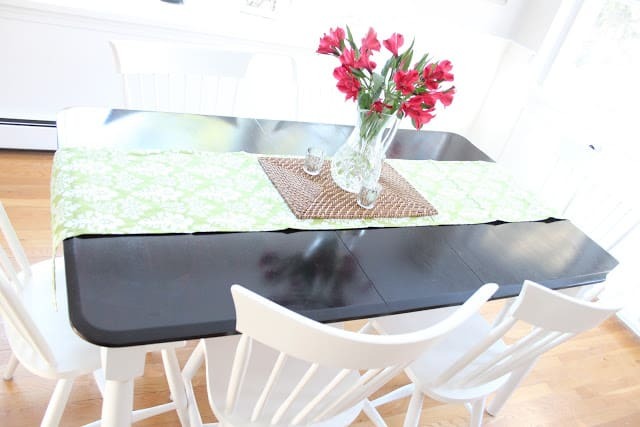 When we moved to a house with black countertops and natural maple cabinets, the white table stood out like a sore thumb, so out came the black paint. Isn’t it crazy how paint can totally change something??? It’s hard to tell from the pictures, but the table top has a lot of rich wood tone peaking through. This was a stripping/restaining nightmare project. For those of you thinking of tackling a makeover like this, I wanted to share with you my experience. These are the products I used, along with Kilz water-based primer. First I stripped the varnish off the tabletop with Citristrip. 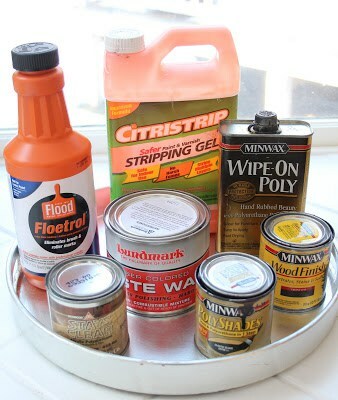 This is the magical product I used to strip my stair treads. You simply brush it on and let it sit for 30 minutes, then scrape off. In some areas I had to reapply and scrape again. After scraping the varnish off, I cleaned the table with fine steel wool dipped in paint thinner. Then I stained the tabletop. 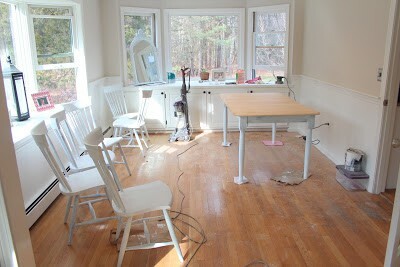 Here’s the nightmarish part of this makeover: the stain didn’t take in some spots. Turns out some woods don’t take stain well (we are not even sure what kind of wood this table is made of, but I’m 90% sure it’s something called Asian Hardwood.) I resanded, cleaned and restained the tabletop, only to have the same splotchy issue happen again. At this point I considered my options. Resand for a third time and then strip again? Paint the tabletop white along with the rest of the table? Jump off a bridge? Polyshades is stain and polyurethane all in one. 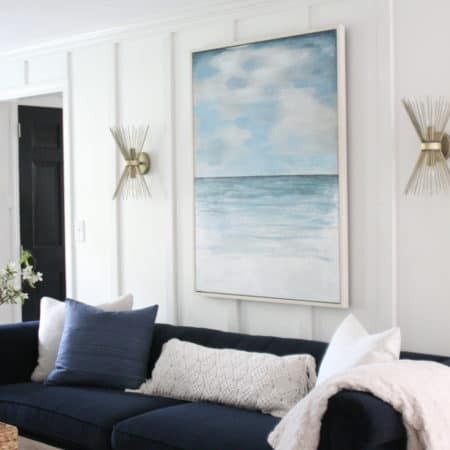 It allows you to change the color of a piece of furniture or stair rail without stripping or sanding off the existing varnish and color (which is extraordinarily time consuming.) If you google Polyshades or talk to any professional, you will read that the Polyshades products are complete junk because of this major downside, which I have first hand experience with: the finish can be scratched off just like paint. The stain in the product doesn’t penetrate the wood; instead it sits on top of it. Because of this, I have found that even though it has poly in it, I still need to coat over the Polyshades with clear poly to protect and seal it, like you would with a painted piece of furniture. A refinishing purist would tell you to just stain and poly a raw piece of wood the old fashioned way instead of wasting your money and time. However – a great use of Polyshades in my humble opinion: when a stain job has gone horribly wrong. I wasn’t about to resand, restrip and restain this tabletop again, oh no nelly! I could have painted the table white, but I really wanted a wood-tone finish on the tabletop. 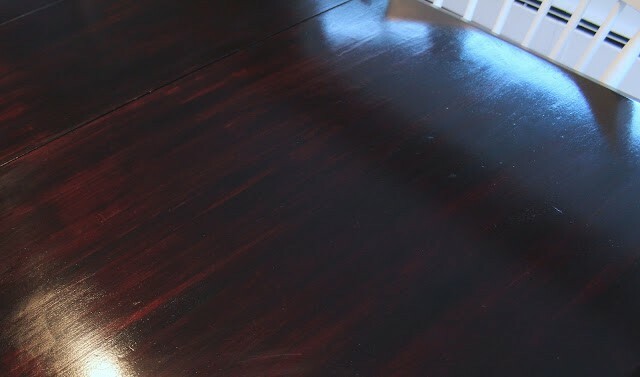 So on top of the blotchy stain, I put two coats of Polyshades (1/4 Ebony to 3/4 Red Mahogany), then added 4 coats of clear satin polyurethane on top. For added durability I coated it with carnauba wax. Despite a few hiccups, I am ecstatic with how it came out. 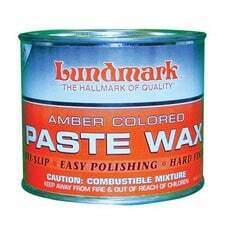 Mark and I both love the rich color and with all the coats of poly and wax on it, the finish is hard as a rock. To seal and protect the chairs and table legs, I wiped on Stays Clear Polyurethane, which doesn’t yellow over white paint like regular poly does. 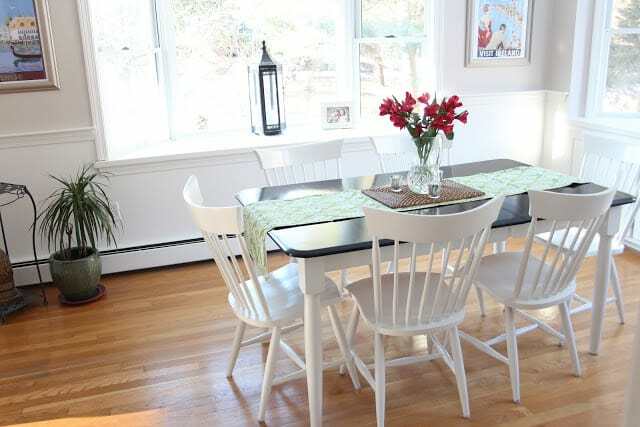 Even after this extreme makeover, the table and chairs are far from perfect. They still have lots of dents and dings and marks, but I’m okay with that. Real life gets lived in this house. On this table, school projects will be worked on. Meals will be served and vegetables will be rejected. Scrabble will be played, and mom will win. The paint will get chipped, the chairs will need a scrubbing. Discussions and laughs and admonishments and love will be poured out at this table. Wishing you happy times and real life around your own table, my friend! 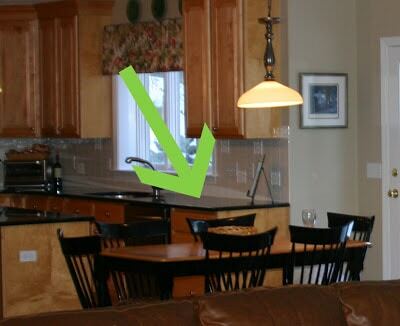 The kitchen table really is the center of a home! The dark stained top with the white is beautiful. Thanks for posting so many great tips. I'm pinning this for a kitchen table turned arts and crafts table that I need to refinish. The table looks gorgeous! Love the dark top! This is so helpful! I worked on a dresser top last year with some spotty issues, so I'll definitely remember your tips. It turned out beautifully. Looks brand new, but better with all of your wonderful memories. How you could ever get rid of it after all the memories? 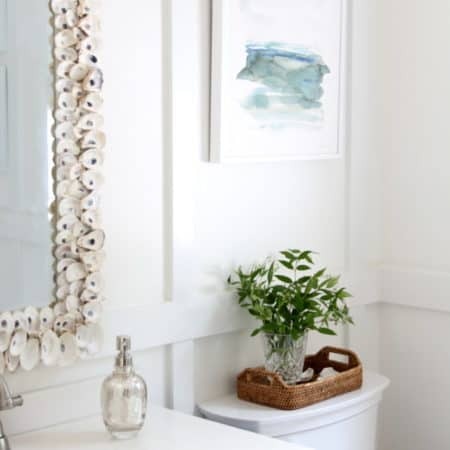 Paint and Stain are obviously the perfect answer…absolutely better than new! Beautiful job, Lisa! Lisa~The table looks great. 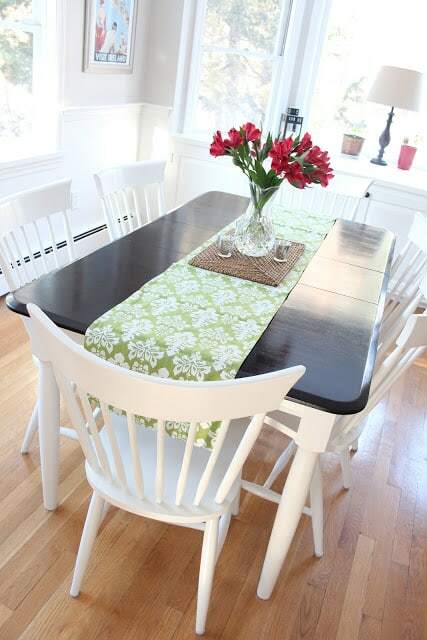 We have a very similar table that is natural wood on top and chairs are hunter green. It is so hard to keep clean. I need to do this project on it sometime in the near future. Love it, looks so nice with the white chairs! I have a coffee table I'd like to stain, right not it has a pebble paint color on it with black paint underneath, I wonder if the poly stain would work? Guess I'll have to give it a try! Love the dark table top! Which is right on trend! Very Stylish! You get a gold star for refinishing your table so many times. I don't have the patience to do it once! Think of the money you've saved. It looks wonderful, Lisa! Can I just say how much I love how you write?! So much love for your family comes pouring out. You are doing a fantastic job with those kiddoes. Wow that looks so good, I tried to paint my table top white it looked horrible so I had to sand it all off it is back to the original natural wood! It looks so much brighter and fresher now! I love the dark top! Amazing how it has transformed! oh this is lovely! nicely done! I am your newest follower btw! What a lovely post – I've used polyshades with great success, but only a a piece of furniture that doesn't have heavy traffic like a kitchen table does. I really like seeing how your style has changed through the years – hard to believe you've had the same table all that time. What a touching story! It makes me wish my parents still had the dining room table we had when I was growing up. So worth all the work you put into it! Lisa, it turned out beautiful! I love the dark top and white base. The chairs look great too. Great staining tips. I just love the makeover on your table. It looks great. Thanks for all of the tips. We are considering stripping our table and staining it a darker color. Thanks for sharing at DIYbyDesign. Gosh, Lisa! I am so impressed with your persistence. 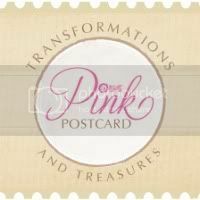 You worked your way through different products to achieve a marvellous transformation. It is almost a family heirloom and looks pristine (inspite of dings and dents). Well done! What an awesome table transformation! 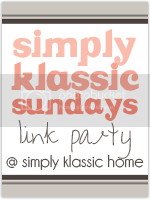 I would love for you to link up at may party going on now at Jillify It! Hope to see you there! Wow – can you share some of your awesomeness with me?? Love this. I LOVE it like this! It's stunning and modern and perfect. It's beautiful! No need for new furniture, not when you can do that! I really like that your table has history with it, I hope you keep it for a long time! This makes me want to paint my black chairs white now….hmmmm. Spray painting season is coming soon! ACK! I love it! The dark top with the white looks so pretty! Oh – and thanks for the tip on the stays clear poly – I hadn't heard of that before. I've always used polycrylic with descent results but I'm going to try the stays clear stuff next time for sure! That is an awesome change Lisa. Looks so sharp in your kitchen. You did a great job! Oh what a fresh and pretty look! Just lovely! Found you at Simple Details blog. 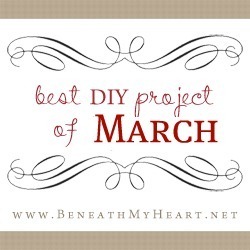 Looking forward to looking around your blog some more!! I love your table! 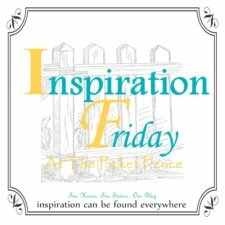 I am using your as inspiration for mine. I just finished staining the table top and tomorrow I will be applying the satin poly. Wish me luck!